Rinus VeeKay will step up to the Indy Lights series with Juncos Racing in 2019. INDIANAPOLIS – Reigning Indy Pro 2000 Championship Presented by Cooper Tires champion Rinus VeeKay will advance to Indy Lights with Juncos Racing next year. 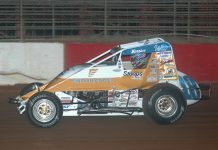 VeeKay, who won the Indy Pro 2000 Championship title this year while driving for Juncos, is the first driver named to the Juncos Indy Lights roster for next year. 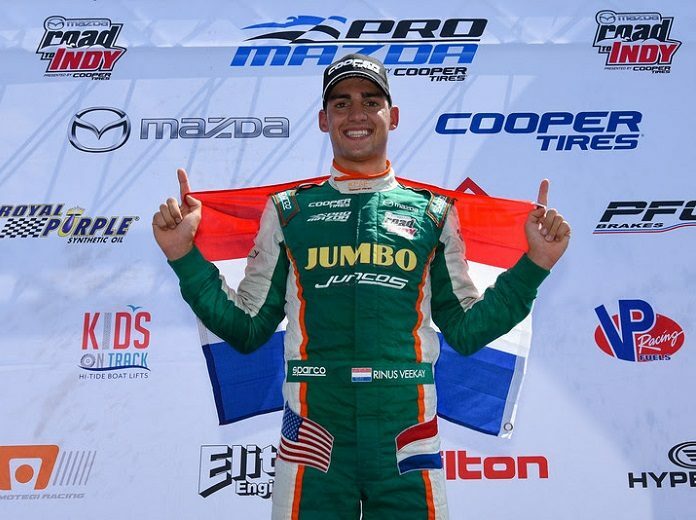 VeeKay, from Hoofddorp, Netherlands, recorded 10 podiums, six poles and seven wins in Indy Pro 2000 (previously Pro Mazda) competition this year en route to the series title. By claiming the title, VeeKay was awarded a Mazda scholarship and will make his move up to the final step of the Road to Indy ladder by joining the Indy Lights series. VeeKay began testing the Dallara IL-15 with Juncos Racing at the Chris Griffis Test and recently completed the Road to Indy Open Test at Homestead-Miami Speedway.